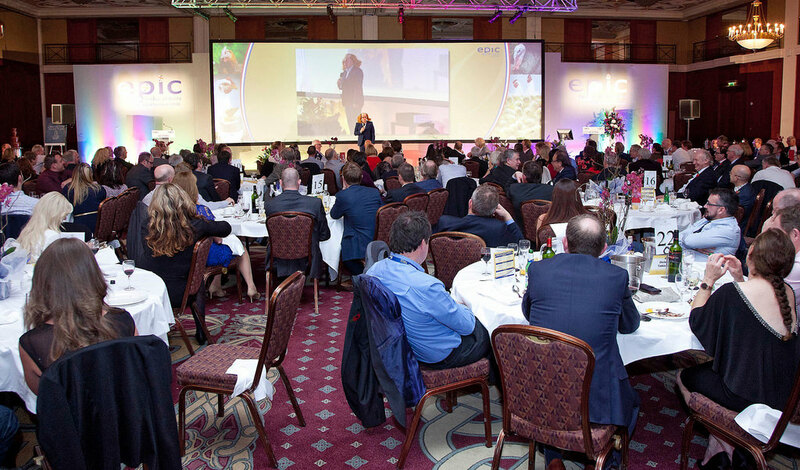 The 52nd EPIC Conference is being held today at Celtic Manor, Newport. The theme of this year’s conference is ‘Preparing for Tomorrow Today’. Stephen Lister, chairman of the organising committee and a partner in Crowshall Veterinary Services says the conference will explore our preparations for the next phase of the Brexit era we all find ourselves in. “Our industry cannot afford to wait for politicians to fine tune the Brexit landscape,” he says. British food and farming remains on the brink of a major upheaval. “Brexit is changing the world as we know it and, especially for traditionally unsupported areas of agriculture, such as egg and poultry meat production, the challenges are enormous,” says Lister. “Trading relations are set to change, access to labour is a growing threat and the industry will have to adapt to a new set of home-made regulations. This presents enormous challenges in terms of productivity, marketing and technical development as the sector aims to remain viable, while meeting consumers’ and society’s wider expectations. The organising committee has brought together a wide variety speakers to explore these topics, ranging from Government to people from within the industry and also a wider farming and business environment. A selection of ‘young guns’ from the industry has also been invited to give their perspective as they look forward to a long career in poultry. The conference kicked off last night with a pre-conference party in the Caernarfon Suite Foyer. Today the conference opens at 9.00 with a welcome from Stephen Lister. The rest of the programme of speakers is as follows. Gary Ford was appointed NFU Chief Poultry Adviser in September 2013 having joined the NFU in January 2009 as a Group Secretary based in Stone, Staffordshire. Prior to this Gary was an agricultural manager in the broiler industry for ten years responsible for all aspects of production on company farms as well as contract growers. James Hook has a long and established career in British Farming. P D Hook produces around 10 million chicks, seven million turkey poults and grows 6.5 million chickens per week, using around 450 farms. An active Member of the NFU, a Member of the Poultry Board, and British Poultry Council, he is also a Representative of many local business groups and organisations. George Eustice was appointed Minister of State at the Department for Environment, Food and Rural Affairs (Defra) on 11 May 2015. He was elected as the Conservative MP for Camborne and Redruth in 2010. He served on the EFRA Select Committee from 2010. A committed Brexiteer, Eustice has accepted an invitation to speak subject to sudden parliamentary business. David Drew is a British Labour Co-operative politician who was the Member of Parliament for Stroud from 1997 to 2010 and regained his seat on 9 June 2017. Minette Batters runs a tenanted family farm in Wiltshire. The mixed farming business includes a 100 cow continental cross suckler herd, and a small herd of pedigree Herefords as well as sheep and arable. Diversification includes the conversion of a 17th Century tythe barn into a wedding and corporate events venue, and horse liveries. Dale Burnett has worked in the food manufacturing industry for over 30 years, 20 of those years being spent in the agricultural sector. He spent 10 years as commercial director at Dairy Crest and joined Noble Foods in 2008. He has worked as MD of two of the Noble businesses, initially running the Consumer Foods business, and then MD of the premium desserts business GU. He became group CEO in 2016. Peter Kendall is a fifth-generation arable farmer from Eyeworth in East Bedfordshire who farms cereals in partnership with his brother Richard and mother. He also grows chicken for Faccenda after diversifying two years ago. President of the NFU for eight years, his overriding passion has been to change the image of farming from a problematic old-fashioned industry of the past, to one that is innovative, exciting and central to the big global challenges so clearly depicted by the UK Government’s Foresight Report on the Future of Food and Farming. In April 2014, Peter was appointed Chairman of AHDB an organisation which exists to provide farmers and growers with the tools to grow UK farming. Giving a business perspective is Martin McCourt, who has worked for some of the biggest consumer brands for over 40 years. As CEO of Dyson for 15 years, he led the business from niche vacuum cleaner maker to a global brand with an extensive product line. Working closely with James Dyson, McCourt devised and implemented a strategy that transformed the company and allowed Dyson the freedom to focus on inventing products. Formerly the MP for the City of Chester and a Lord Commissioner of the Treasury in John Major’s government, he is editor-at-large of the Sunday Telegraph Review and a London correspondent for CBS News. His many books include an acclaimed diary of his life in politics Breaking the Code, a biography of Sir John Gielgud and three novels.